At OCCO we know how much time. effort, and energy is spent building a brand. When it comes to establishing and expanding a you online presence over your competitors, and improving your bottom line, you are also going to need more than a one-time “fix” of your SEO. If you want to be on top of the search engine rankings, and stay on top of the search engine rankings you need a expert SEO partner to constantly monitor, review, and continually improve your SEO rank. That’s why you need Retained SEO Services. If your competitor website was showing on the first page results of keyword phrase search it is most likely there as a result of a lot of paid SEO services. Your competitors most likely paid thousands or even tens of thousands of dollars to get where you want to be and when you knock them out of that position, they are going to expect their SEO provider to try and push back. So just as hard as we will work to get you to the top of the page there will always be dozens of competitors trying to knock you out. This is the primary reason why one-time search engine optimization doesn’t work. With OCCO’s retained SEO services you get a partner. You get a dedicated, professional, team of SEO and online marketers who care as much about the success and profitability of your business as you do. In other words, we are in it too for the long haul. 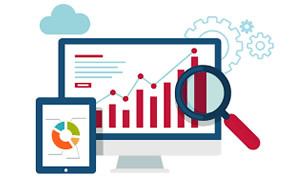 When you choose retained monthly search engine optimization services from OCCO, you’re creating an ongoing relationship designed to not only improve but maintain your brand’s visibility, and to help continually attract new customers, and close new sales. In order to maintain high quality standards, and give each client the time and effort that they expect we make it our goal to become your online marketing partner. We start with the most important part of any business partnership which is building an in-depth relationship with you, learning about your brand, and analyizing all of your business. From the researching of keywords, the building of a marketing strategy, to A/B split testing and in-depth reporting and analytics, we will be there with you every step of the way. We won’t sleep until you are at the top and we are relentless when it comes to making sure your goals are met. Once we get you in the top ranking positions for your relevant keyword phrase search terms, we are not about to just sit around and wait for your competitors to try and out-rank you again. The OCCO dedicated SEO specialists will review your objectives regulary, make all the effort identify new opportunities, keep on top of all the latest trends in your business, and present you with fresh and exciting marketing plans and ideas that will help bring in new customers, and spark new interest from your existing clients. This is all part of being a SEO partner with OCCO. At OCCO we are constantly working to expand our SEO tool kits as well as our skill set. We do this to make sure that we are always collecting and correctly implementing up-to-the-minute data. Our expert SEO team has access and ultilizes more that 20 of the world’s top SEO tools and we use them all to make sure your site has the right performance and generates the most profitability. We pride ourselves on producing high quality SEO results that have long term life spans and continue to produce results over and over again! We see success in our business when you see success in your business, that’s why we focus on quality long term results!